Holiday prepping and decorating is in full swing in our house, which means there are lots of treats being made daily! 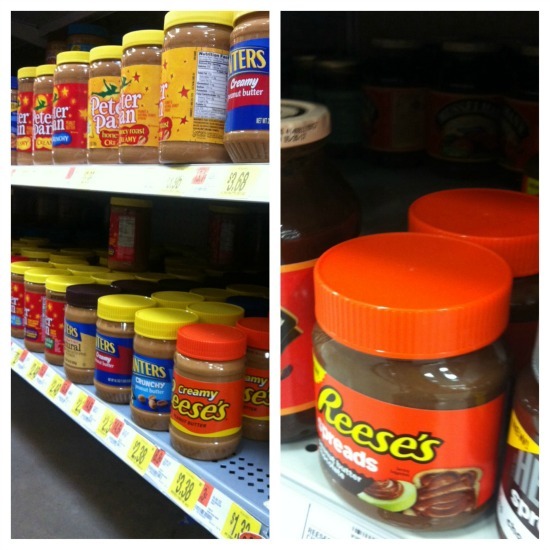 One of our new favorite things is Reese’s Spreads peanut butter and chocolate! 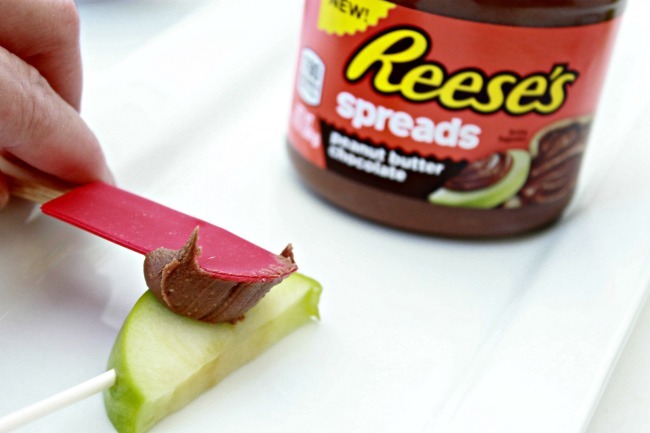 We love to spread a little on an apple for a snack…it tastes sinful, but delicious. 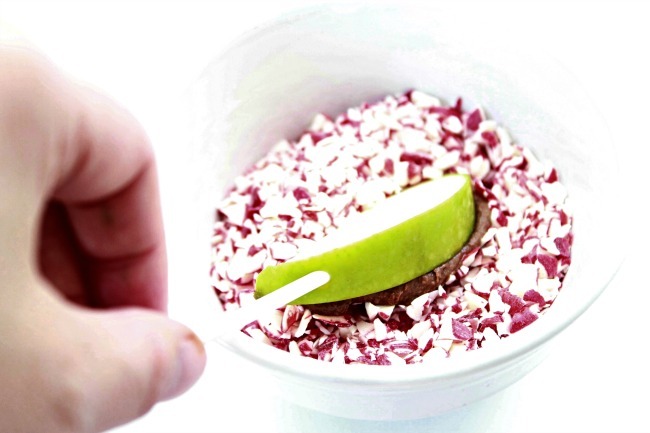 Well, Kate had the bright idea to put a little stick in our apples the other day and dip them in sprinkles! 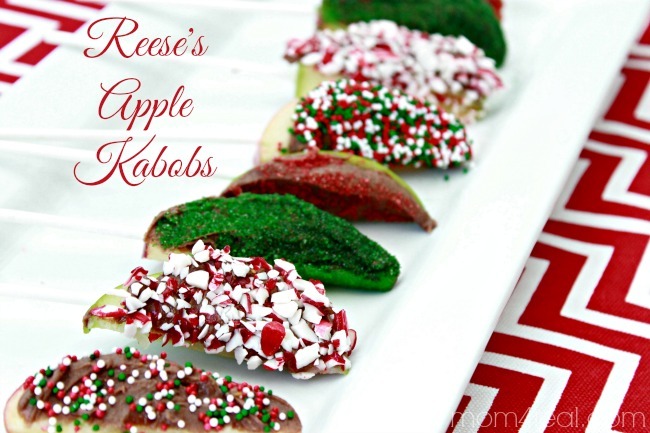 So, these Reese’s Apple Kabobs were born! They are super cute, so easy to put together, and make a great treat for little ones and adults too! I mean, everything is better on a stick, right? 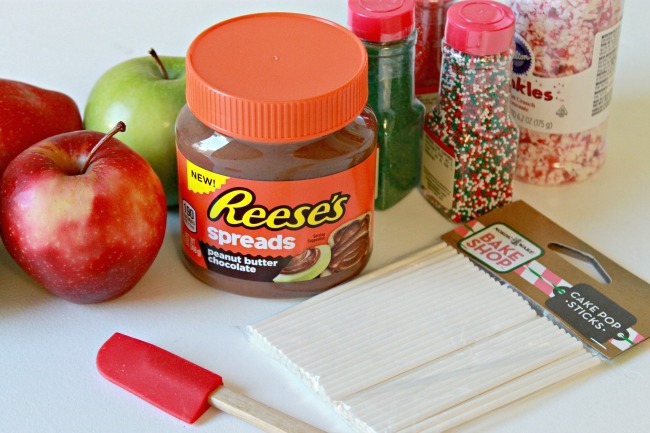 To make these apple kabobs, you will need apples, Reese’s Spreads, cake pop sticks, sprinkles and a small rubber spatula. 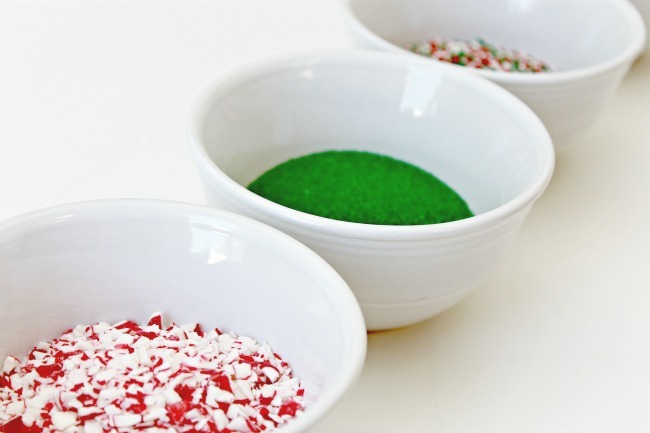 Place your different sprinkles in small bowls or on plates. 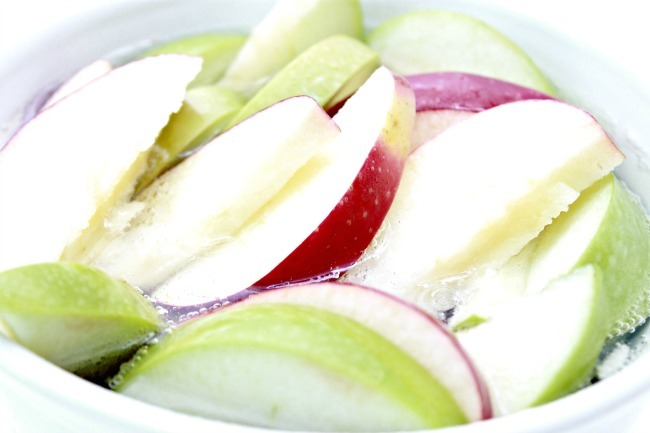 Cut up some apples and let them rest in a bowl of lemon-lime soda to keep them from browning. 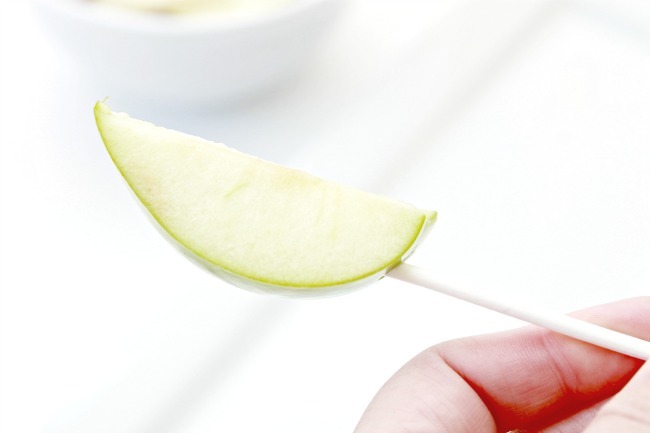 Poke the cake pop sticks into the bottoms of your apple slices. Use your rubber spatula to spread on the Reese’s. Reese’s Spreads is a perfect combination of chocolate and peanut butter flavors in spreadable form! 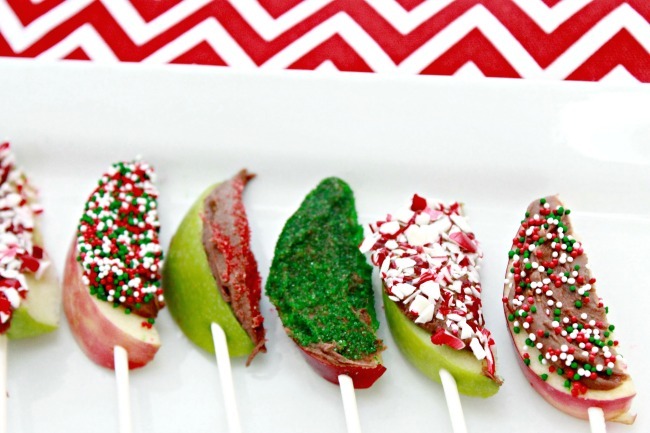 Enjoy your apple kabobs! These are so simple to make that even the kiddos can help you put them together!